Dear all, in November we have a few lightning talks. We need two more speakers with 5-10 min presentations. Please, let us know if you are keen to do that! Talk 1 is about speed optimisation and image compression from our WordCamp speaker Peter Warwick-Mahoney. Website speed is so important, but with the plethora of tools available, what should you use? Peter takes us through the gamut of configurations he regularly uses to half a WordPress site’s loading time. Peter is SEO expert, web developer & designer, all-round nice guy, and ravenous information devourer. Peter’s focus over the past decade has been on SEO (although it’s been a feature he’s offered since the late 90s), while making sure he keeps his typing fingers in the site creation pie too. Talk 2 is about what is wrong with lists of must-have plugins from Maria Skatova. Maria is married to WordPress for more than 10 years, and they have a gazillion of little websites together. 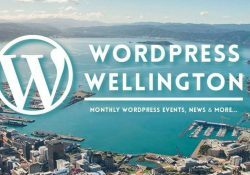 She also is a co-organiser of WordPress Wellington meetup. Talk 3 opens our Page Builders series with Thrive builder review from Peter Williamson. Peter will share how he uses Thrive and why he prefers it to other page builders. Pete Williamson has worked with WordPress for over 4 years now, having previously been involved in theatre and Audio-Visual industry. November WordPress meetup – lightning talks. WordPress Wellington Meetup, Facebook WellingtonWordPress and Twitter @WPWgtn. It has been a while! Although the Creative Tech meetup group hasn’t met for a year, we’ve kept the meetup group so we can start meetups again once we have the human resources to curate presentations. Coming up on November 9th, we’re teaming up with the AKLgamedev Meetup, UI/UX Meetup and the Anim + VFX Meetup for a Design + Creative Tech Mega Meetup. The presentations will still be separate for all meetups so you’ll need to decide which to go to. 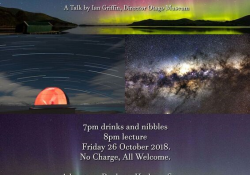 Because there’s going to be so much to see, we wont be having a presentation in the usual format this month just come along and see what the AUT Creative Students have to show, network and enjoy some drink and nibbles. The doors will open up at 6 and we’ll launch straight in to the networking and demonstrations. Let’s also start the discussion of how to revive the Creative Tech Meetup presentations. 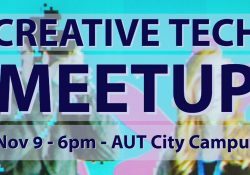 If you have content to show at a future Creative Tech Meetup or know people who would want to run a Creative Tech Meetup please contact ben.kenobi@aut.ac.nz and we’ll sort something out. I’m looking forward to seeing you there. Come find me, I’ll be wearing the lanyard that reads Ben Kenobi. Event announced at AUT Events and Meetup. This event includes many elements of the vintage era predominantly between the 40s and 60s. 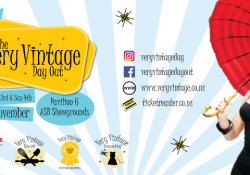 VVDO 2018 has a full programme of entertainment for the weekend including live bands, car displays, military display, makeovers, fashion shows, high tea as well as loads vendors on site selling a huge range of vintage-inspired and retro products. Be there for the crowning of the 19 Black Miss Pin Up New Zealand 2018, and join in the fun by entering The Very Vintage Photo Safari, the Very Vintage Bake Off or perhaps the new Dress Making competition. Make sure you get your glad rags on to be in to win The Best Dressed prizes. Lovers of all things vintage-inspired will come together once more to celebrate a by-gone era. 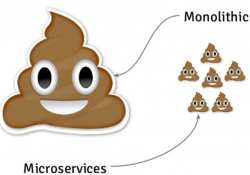 What makes a good API Gateway? The age of digital transformation.. are you ready? As your business embraces digital transformation, you’re presented with new industry trends, from microservices and containerization to multi-cloud connectivity. Understanding how these emerging technologies could apply to your existing ecosystem and the integration best practices required, is central to success. This the only New Zealand expo dedicated to electric bikes that brings retailers, distributors and infrastructure enablers together under one roof. It will provide you with the opportunity to connect with all the experts in one place. Which in turn will help you complete your research, take test rides, make purchase decisions and have your e-bike built and fitted for you. The focus of this event is promotion of e-bikes. So whether you want to learn to ride an e-bike, get to know the Auckland cycleways on an e-bike, or simply shop around, this expo is able to provide you with the activity that you need. 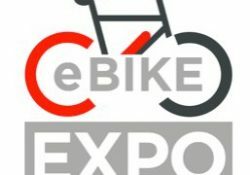 The expo is a two day event with a range of distributors, retailers and all things e-bike. We will show you that there is an e-bike for you! Wahoo! It’s the last Refactor for the year. We’re so excited to welcome speakers Natasha Lampard, Uttara Nataraj and Vic Jack. We’re back at the amazing Warren & Mahoney studio in Wynyard Quarter. Read on to learn more or grab your ticket now! Natasha Lampard (@tashmahal) is the co-founder and director of Webstock; co-founder of Lil Regie and creator of Extraordinary Tales of Strength & Daring. Natasha fell in love with the web and its possibilities in 1999 and has been working on it in various capacities, ever since. She now wears a number of hats including event manager, designer, writer, usability advocate and entrepreneur. She loves soup, the work of Joan Hickson as Miss Marple and the creation of delightful spaces – both online and IRL. Uttara (Utts) is currently working as an Agency Development Manager at Google NZ, where she works with New Zealand’s top independent agencies and their small to medium business clients, to help them grow using Google products. Utts is an Engineer by background (she studied Engineering Science and The University of Auckland) and prior to Google was working in Management Consulting at EY for six years across Sydney and Auckland. Over this time she worked on numerous projects across various industry sectors including: FMCG, Retail, Media, Real Estate, Airlines, Government and Power & Utilities. Utts is also a big advocate of mentoring and has been a mentor for the UoA Business School Women’s Mentoring Programme for the past two years. On the weekends you’ll likely find Utts exploring art galleries and eating her way around Auckland! Vic has a background in advertising and design from London and was part of the digital boom in the late 90’s where she worked as UX Designer. And advocate for life-learning she returned to University in 2014 to complete a Masters in Design. She works on projects that embrace systems thinking and sustainable business practices that provide real social impact. A future thinker, Vic has a comprehensive knowledge of nascent technologies that include blockchain technology, IOT, AI and machine learning. She is a strong advocate of decentralised technology that provides us with the mechanism to have increased control and sovereignity over our own data. She is the founder of Maslow, a boutique recruitment agency that focuses on attracting, engage and retaining women into positions of management and leadership inside the creative and tech industries. Tickets $25 – open to all. Buy tickets. 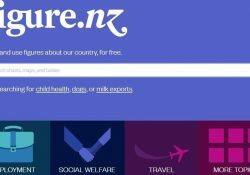 Lillian Grace, Chief Executive Officer of Figure.NZ, will explain their vision for all New Zealanders to better understand and use data and some of their motivation and journey to get to where they are today. Lillian will also talk about some of the technical challenges faced and how they have solved them through a combination of tools and bespoke development. Open Data in NZ Meetups are for sharing the passion and success around the release of open data with like-minded people. These Meetups will consist of sharing innovative ideas and information, success stories and an open forum to discuss hot topics happening within your region and the wider global community. Registrations are now open and the detailed programme is now live for the premier digital conference for the gallery, library, archives and museums sector! Our 2018 line-up will make this NDF unmissable. With outstanding keynotes and a whole host of speakers and workshops on offer – everything from data cleaning for non techies, managing born-digital archives, parsing parliament, GLAM data workbenches, a Wikipedian at Large… not to mention mapping stories in the residential red zone, the challenges of Chinese OCR and agile in te reo. 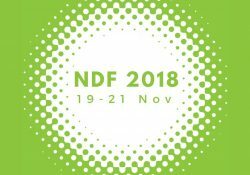 The National Digital Forum (NDF) is a network of people and organisations working together to enhance New Zealand’s digital interaction with culture and heritage. As a network, we connect together the people who are shaping our new digital culture, and we also work closely with museums, archives, art galleries, libraries, government, and the creative sectors to support their initiatives. The National Digital Forum welcomes everyone to observe, participate, learn and grow together. When engaging with our community, either online, through social media, or at physical events such as the conference and workshops, we want everyone to have a good time and feel safe. Our code of conduct sets out what we should expect of each other. You can view programmes and talks from our past conferences. Since 2013 talks have been available on our YouTube channel. Who is going to teach the robots manners? Humans are inherently bias and as AI is developed how do we prevent the biases, already existing within society, being reinforced in technology? Algorithms were supposed to free us from our unconscious mistakes but now there is a new set of problems to solve. How do we address the potential for discrimination in an incredibly complex environment that is already quietly embedded in our personal lives and in some of the most powerful institutions on Earth? 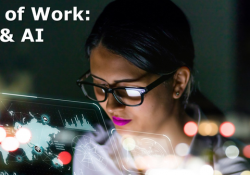 Join The Institute of Management New Zealand and our incredible panel as we discuss the Ethics of AI and the Future of Work, the conscious and unconscious bias’s that exist in our organisations and why we need diversity of thought to make the most of our tomorrows. 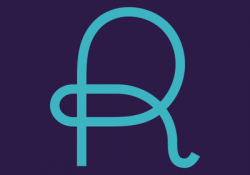 – Rachel Kelly – most recently the founder of Ethical AI, a company intersecting artificial intelligence and moral psychology to tackle AI corruption and global data protection. – Tim Warren – co-founder of Ambit – an enterprise Conversational AI platform as well as an investor in over 20 early stage companies. – Shireen Chua – Director of Third Culture Solutions, facilitating organisational development to turn diverse teams into highly performing ones.